Deborah began her real estate career in 1994 and became her company’s “Rookie of the Year” with 14 sales in the first 12 months. Since then she’s helped over 1000 clients buy or sell over 450 million dollars in San Francisco real estate. She is consistently ranked in the Top 1% of all agents in San Francisco and is a top 10 agent at Vanguard Properties. Since 2014, she has been named by Real Trends as one of the top real estate professionals in the United States. Not just a salesperson. Deborah’s success has been built on her unwavering commitment to helping people. A sense of home has always been extremely important to her, so she has dedicated her career to helping her clients find a place that they can call “home”. She does this by putting herself in their shoes and by making sure they get the highest price when they are a Seller and the lowest price when they are a Buyer. She sees herself as an adviser more than a salesperson and listens carefully to what is important to her clients to help them successfully achieve their real estate goals. Specializing exclusively in residential real estate within San Francisco, Deborah’s formula for success, DN² has received some the highest client reviews of any agent in San Francisco both on Zillow and Yelp. Deborah is proud to call San Francisco home. 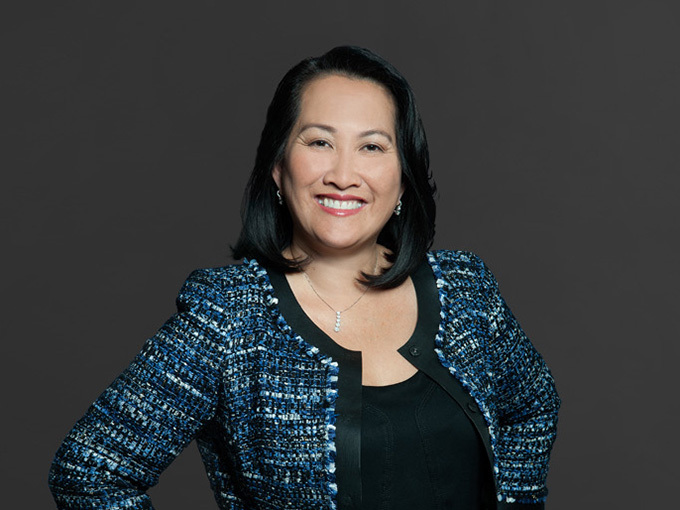 She moved here from her native Vietnam and went on to earn her degree in Business Administration from San Francisco State University. She’s developed strong roots in the Bay Area and thoroughly enjoys life with her family and friends. 4 Bed | 4 Bath | 2,016 Sq.ft. 2 Bed | 2.5 Bath | 1,199 Sq.ft. 4 Bed | 4 Bath | 3,131 Sq.ft. 2 Bed | 1 Bath | 1,016 Sq.ft. 2 Bed | 1 Bath | 966 Sq.ft. 3 Bed | 1 Bath | 1,368 Sq.ft. 2 Bed | 1 Bath | 964 Sq.ft. 2 Bed | 2 Bath | 1,624 Sq.ft. 3 Bed | 2 Bath | 1,930 Sq.ft. 2 Bed | 2 Bath | 1,676 Sq.ft. 1 Bed | 1 Bath | 1,378 Sq.ft. 5 Bed | 5 Bath | 3,077 Sq.ft. 4 Bed | 3.5 Bath | 2,470 Sq.ft. 2 Bed | 2 Bath | 1,141 Sq.ft. 1 Bed | 1.5 Bath | 1,092 Sq.ft. 2 Bed | 1 Bath | 1,239 Sq.ft. 6 Bed | 3.5 Bath | 4,296 Sq.ft. 2 Bed | 1 Bath | 940 Sq.ft. 3 Bed | 2 Bath | 1,350 Sq.ft. 2 Bed | 1 Bath | 1,117 Sq.ft. 3 Bed | 2 Bath | 1,540 Sq.ft. 3 Bed | 2 Bath | 1,542 Sq.ft. 4 Bed | 4 Bath | 2,000 Sq.ft. 3 Bed | 2.5 Bath | 1,736 Sq.ft. 2 Bed | 1 Bath | 1,150 Sq.ft. 3 Bed | 2.25 Bath | 1,465 Sq.ft. 1 Bed | 1 Bath | 665 Sq.ft. 3 Bed | 2 Bath | 1,290 Sq.ft. 3 Bed | 2.5 Bath | 1,550 Sq.ft. 1 Bed | 1 Bath | 948 Sq.ft. 2 Bed | 1 Bath | 1,124 Sq.ft. 2 Bed | 1 Bath | 1,002 Sq.ft. 3 Bed | 2.5 Bath | 1,300 Sq.ft. 2 Bed | 1 Bath | 907 Sq.ft. 1 Bed | 1 Bath | 847 Sq.ft. 3 Bed | 2 Bath | 1,260 Sq.ft. 3 Bed | 1.5 Bath | 1,713 Sq.ft. 1 Bed | 2 Bath | 1,228 Sq.ft. 1 Bed | 1 Bath | 493 Sq.ft. 1 Bed | 2 Bath | 829 Sq.ft. 2 Bed | 1 Bath | 1,317 Sq.ft. 2 Bed | 2.5 Bath | 1,391 Sq.ft. 3 Bed | 2 Bath | 2,385 Sq.ft. 2 Bed | 2 Bath | 1,235 Sq.ft. 2 Bed | 2 Bath | 1,906 Sq.ft. 2 Bed | 2 Bath | 1,675 Sq.ft. 2 Bed | 1 Bath | 1,125 Sq.ft. 1 Bed | 1 Bath | 815 Sq.ft. 4 Bed | 3.5 Bath | 4,170 Sq.ft. 2 Bed | 2 Bath | 1,324 Sq.ft. 1 Bed | 2 Bath | 1,046 Sq.ft. 4 Bed | 4.5 Bath | 3,016 Sq.ft. 2 Bed | 2 Bath | 1,366 Sq.ft. 3 Bed | 2.5 Bath | 1,822 Sq.ft. 1 Bed | 2 Bath | 1,150 Sq.ft. 4 Bed | 3 Bath | 2,524 Sq.ft. 1 Bed | 1 Bath | 920 Sq.ft. 3 Bed | 2 Bath | 1,365 Sq.ft. 1 Bed | 1.5 Bath | 965 Sq.ft. 2 Bed | 1 Bath | 924 Sq.ft. 4 Bed | 4 Bath | 1,877 Sq.ft. 2 Bed | 2 Bath | 1,500 Sq.ft. 2 Bed | 2.5 Bath | 1,518 Sq.ft. 1 Bed | 1.5 Bath | 1,041 Sq.ft. 2 Bed | 2 Bath | 1,433 Sq.ft. 2 Bed | 1 Bath | 1,610 Sq.ft.